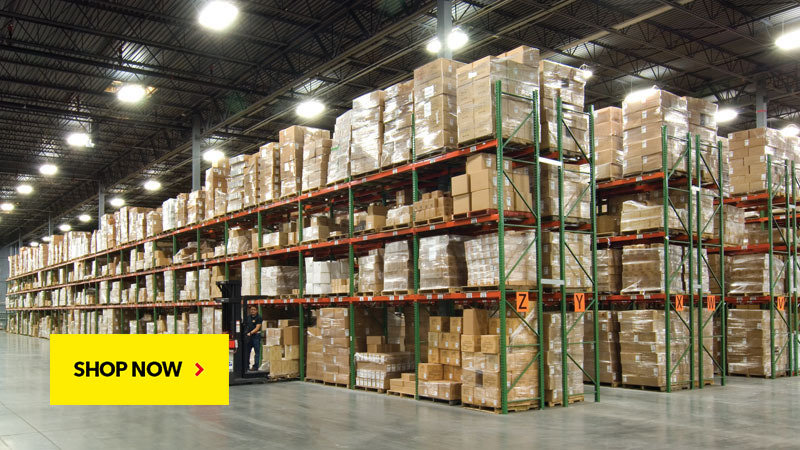 What is Selective Pallet Rack? Pallet Racking is a storage solution where pallets or skids are placed in steel structures with the aid of forklift trucks. 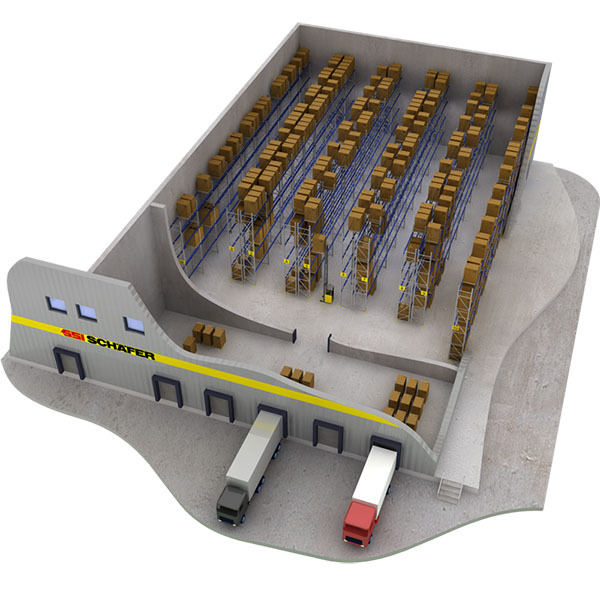 The horizontal design with multiple levels on top of each other increases the storage density of the warehouse. 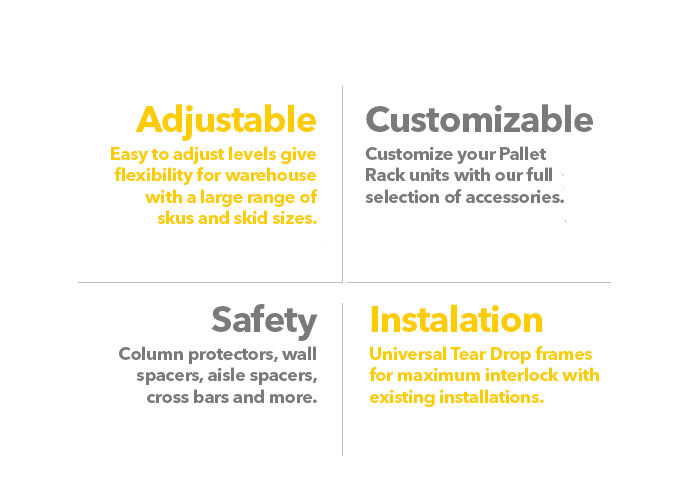 Ever since pallets became the standard for storing goods, pallet racking is an essential part in warehouse storage systems in virtually all industries. 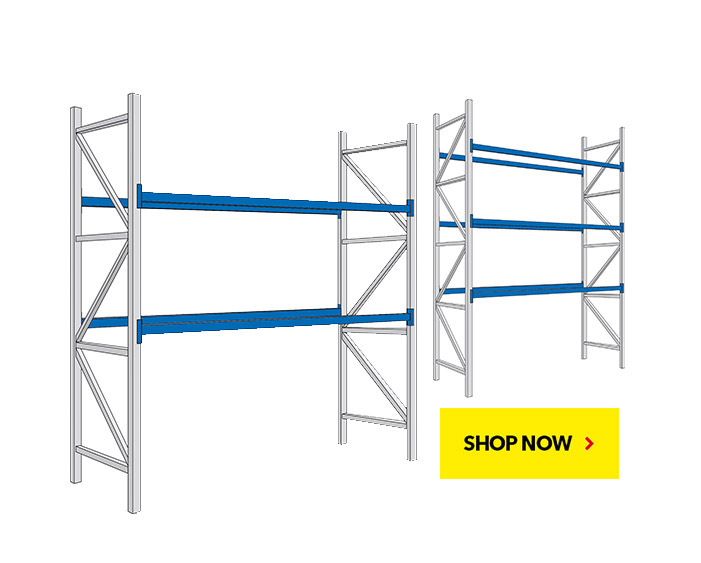 Commonly known as adjustable pallet racking, this is the most popular and economical form of pallet racking because it provides 100% selective storage up to 40 ft. in height, utilizing valuable air space. 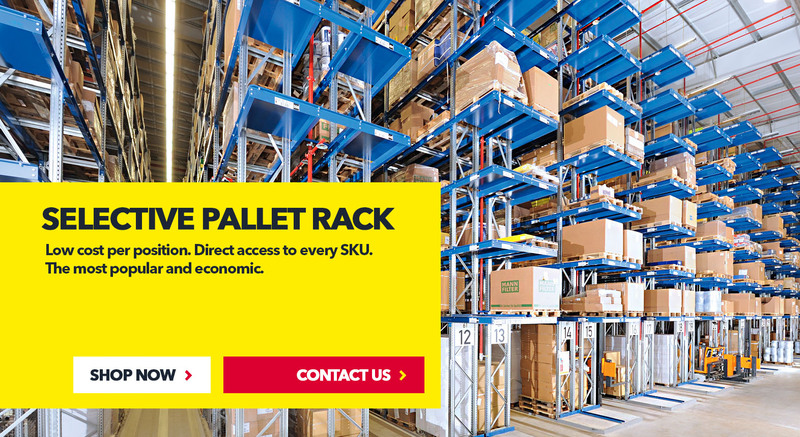 Selective Pallet Racking can be designed to meet virtually any pallet size or weight and can be used in conjunction with all types of lift trucks. The optimal solution for most industries with fast moving goods, or those with a large and changing range of SKUs, like 3PL Companies. 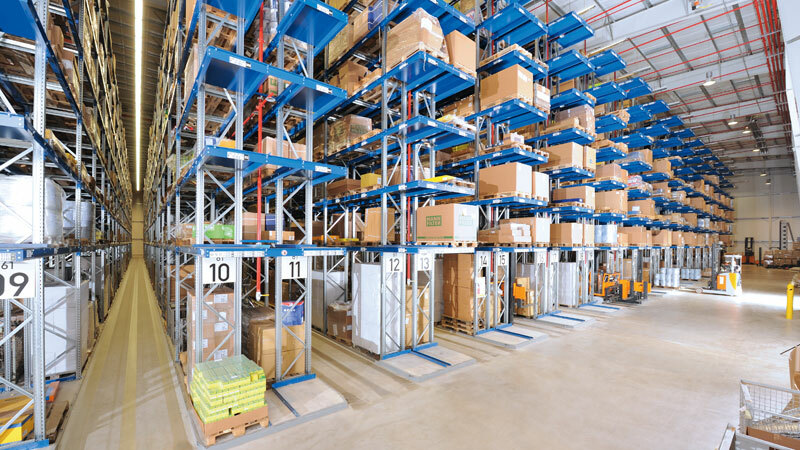 The use of special forklift trucks allows aisles marginally wider than the load. 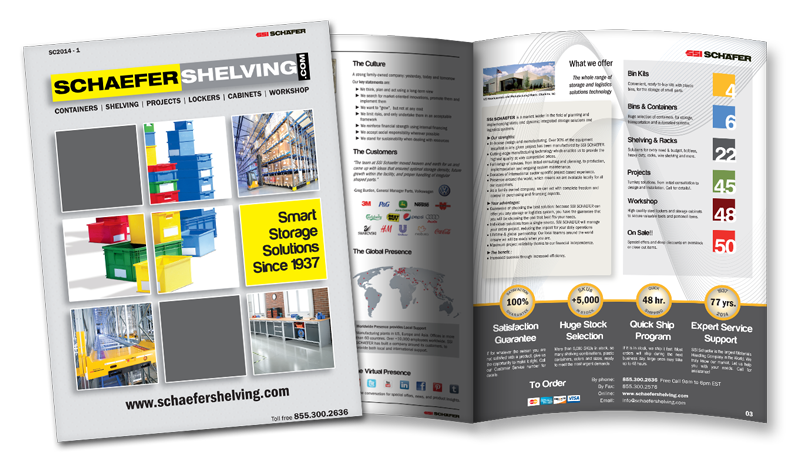 Better use of space and higher structures, up to 55 ft., improve storage capacity up to 40%, when compared to selective pallet racking.